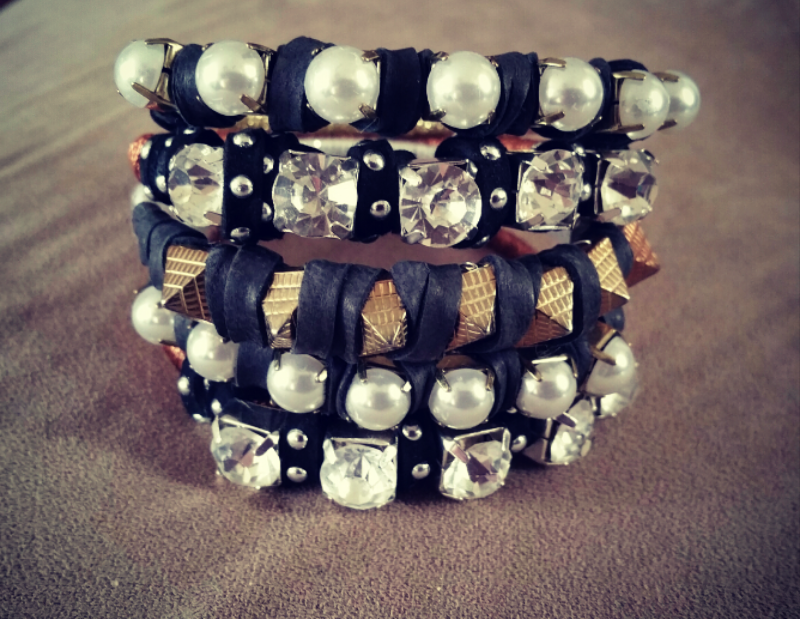 This 5 pc bangle bracelet set is handmade and one of a kind. 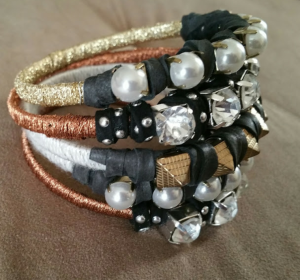 Fits an average sized wrist. 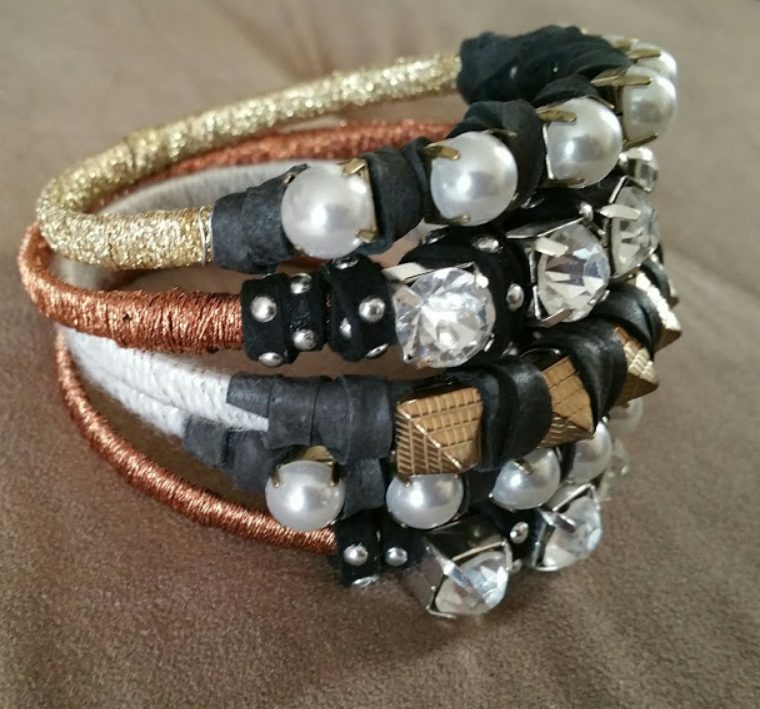 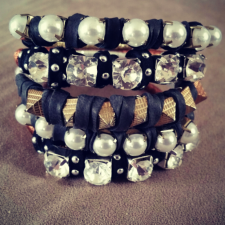 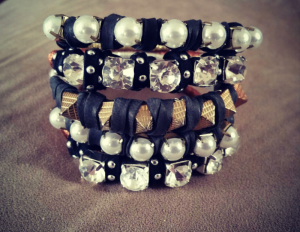 Made with sparkly gold and copper threads , pearl rhinestones, large crystal rhinestones , gold studs, studded suede and soft black leather.